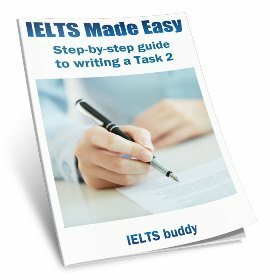 How can I get Band 8 in IELTS Speaking? I wonder how to manage speaking in part 2 and 3 to get band 8. I have seen many episodes but I couldn't find any clear method. 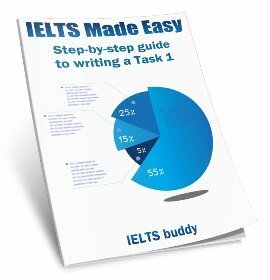 Comments for How can I get Band 8 in IELTS Speaking? You won't find a particular method for Parts 2 and 3 to get band 8 speaking. It's not as simple as that. Yes there are tips for those parts of the test (you'll find them on this site if you look through the lessons) but there isn't anything that would, for example, suddenly push someone who is a band 6 level speaking up to an 8. To get to an 8 you need to be virtually fluent in English. If you are not fluent, there are no tips that will suddenly make you fluent. Learning a language takes time. You would have to work on just generally improving your level of English. Of course if you are a high level already, so around a 7.5, it's possible some tips could push you up to an 8. I have no idea what your current level is so it's too difficult to advise you what the best thing to do is. But if you are just an intermediate speaker of English, say around the 5.5 / 6 level, and you need 8 then you have a lot to do. 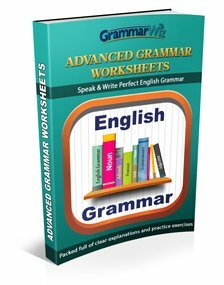 You need to just have lessons / practice speaking to improve your English without worrying too much about the test itself as it will be a long time before you are up to the 8 level. My band now is 8 but despite my attempt to enhance my overall score to 8.5 it seems a bit tough. Another thing to remember is that not necessarily all skills are as high as band 8. Another important issue is there are some things not to be gained just by studying and practicing something like tricks and constant methods. I guess there are within the IELTS course that's have made it a little far-fetched. To be honest I couldn't understand what you were saying in your post. But if you are currently very good at English as you say, around a band 8 level, but you are struggling to get an actual 8 in the test, then yes, looking at tips and strategies will help you. If you are very good at speaking but not getting a high score then obviously you are doing something wrong, such as not speaking enough or using enough high level language. So all I can suggest is you go through the lessons and tips on this site and other sites if you search online and make sure you are doing what is expected in the IELTS speaking test. I normally get 7-7.5 in speaking. My fluency is quite well. What should I do for 8? I got 8.5 in my recent IELTS Speaking Test. I used to do a lot of impromptu speaking training through a group called Toastmasters. One group exercise we did at Toastmasters was particularly helpful. Each member in the group had to speak on the spot for one minute with zero preparation (the topic was drawn randomly). Another group member had the task of reviewing the speech and to suggest points for improvement. Over time, these speaking / reviewing role play exercises greatly improve and refine your speaking skill. This exercise requires time and others with shared interest, but it is the most effective method I know to take your general speaking ability to the next level. I'm taking Ielts on the 3rd of June, first time, so a bit nervous and feel lack of confidence. My pronunciation is quite good, but I tend to panic because I find myself run out of ideas too quickly. Would you mind giving me some suggestions? 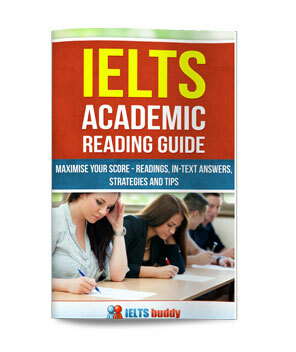 I am taking IELTS on 20th may. I am bit nervous. I am moderate speaker. I find myself run out of ideas in part 3 and get stuck between the answers. I find this part the most difficult Would you give me some suggestions. Looking for speaking partner in Canada possibly or from any parts of the world.